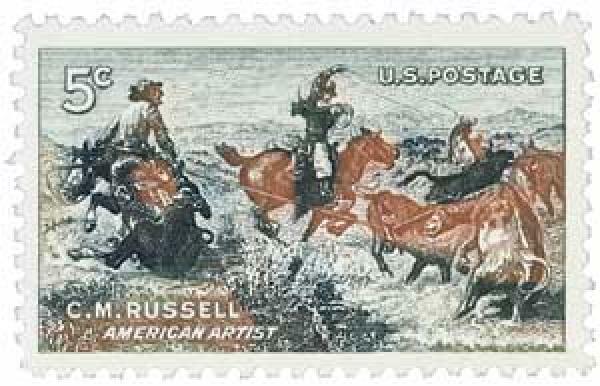 US #1243 was the fourth issue in the American Painting Series and pictures Russell’s painting Jerked Down. Artist Charles Marion Russell was born on March 19, 1864, in St. Louis, Missouri. From an early age, Russell always had a great interest in art. As a child growing up in Missouri, he frequently sketched and made clay figures of animals. He was also very interested in the American West and loved reading stories and listening to the tales of explorers and fur traders passing through town. 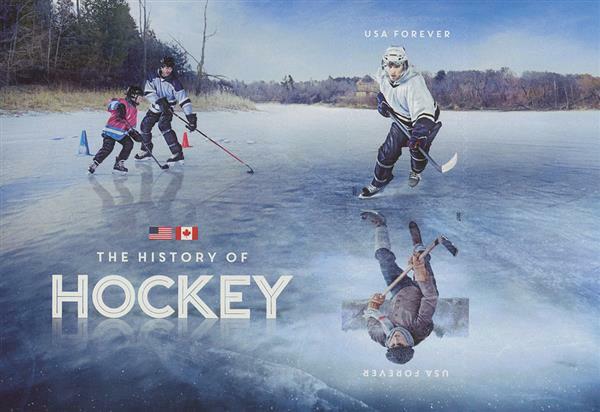 US #5253c – Souvenir sheet issued in 2017 for the 100th anniversary of the NHL. On March 18, 1892, Canada’s Lord Stanley of Preston announced he would donate a silver challenge cup to be awarded to the nation’s best hockey team. Born in London in 1841, Frederick Arthur Stanley, also known as Lord Stanley of Preston, was appointed Governor General of Canada in June 1888 by Queen Victoria. Upon arriving in Canada, Stanley and his family became enamored with hockey, a relatively new sport that had been developed there in the 1870s. 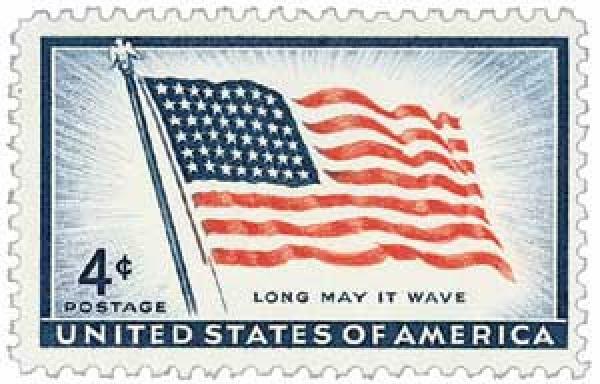 US #1094 was the first issue using the US Flag as the central design. William Driver was born on March 17, 1803, in Salem, Massachusetts. When he was 13, Driver ran away from home to become a cabin boy on a ship. 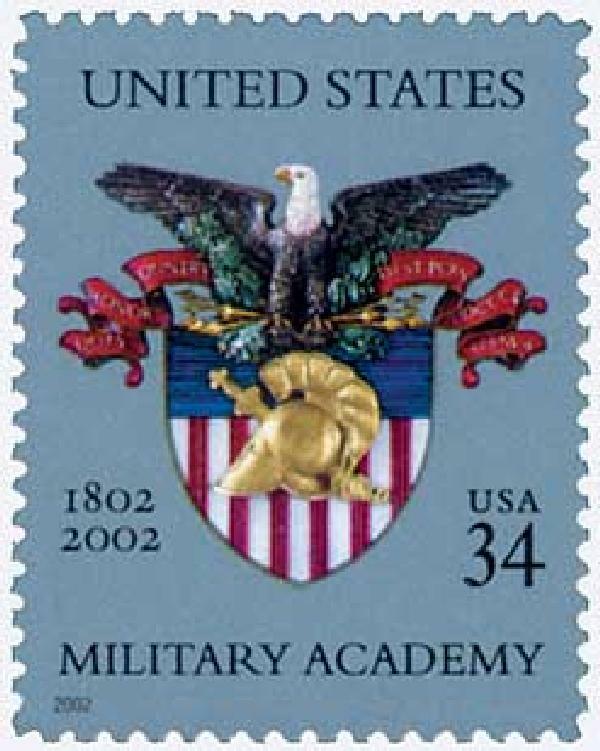 US #3560 was issued on this day in 2002 for the school’s 200th anniversary. On March 16, 1802, the Military Academy at West Point was founded. 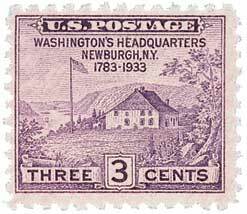 Poised above the Hudson River, 50 miles north of New York City, West Point was first established as Fort Arnold, in 1778. The site was selected because of the unusual S-curve in the Hudson River below. Military engineer Tadeusz Kościuszko organized the fort’s defenses. US #752 – The first Farley’s Folly re-issue with no gum. James A. Farley (1888-1976) got his start in politics in 1911 as town clerk of Grassy Point, New York. He moved his way through the political system, forming the Upstate New York Democratic Organization and bringing many upstate voters to the Democratic Party. 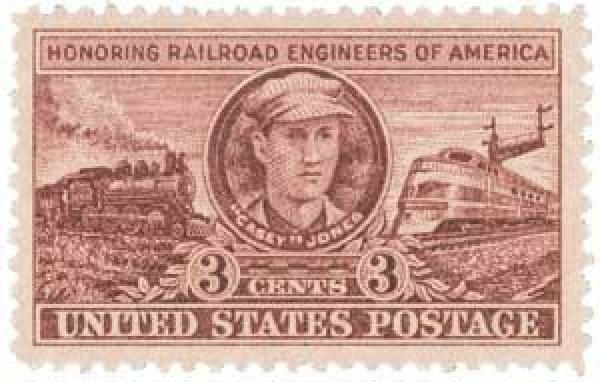 US #993 was issued on the 50th anniversary of Jones’ fateful train accident. Jonathon Luther Jones was born on March 14, 1863, in Missouri. Jones’ parents worried that the backwoods of Missouri wouldn’t provide their son with enough opportunities, so they moved the family to Cayce, Kentucky. People began calling Jones Cayce, after his new hometown, and he eventually changed it to Casey.